A rendering of the new Mercedes-Maybach based on information gleaned from company execs, spy photos and other sources. Mercedes-Benz will take the wraps off the all-new Mercedes-Maybach sedan later this month at the Los Angeles auto show. The sedan will be positioned between the S class and the Pullman in the luxury brand's hierarchy. Code-named X222, the extra-long-wheelbase sedan will mark the return of the Maybach name, this time as a subbrand akin to Mercedes-AMG, and will feature a thoroughly reworked rear passenger compartment and C-pillar section, along with new rear doors as shown in these renderings. The Mercedes-Maybach will be one of four sedan variants of the current W222 S class, alongside long- and short-wheelbase versions of the base sedan and the Pullman limousine. It will be aimed at the Bentley Mulsanne and the Rolls-Royce Ghost Series II, as well as the long-wheelbase version of the Range Rover that debuted a few months ago. The car is expected to be approximately 10 inches longer than the long-wheelbase S class, which has a wheelbase of 206.5 inches. The Mercedes-Maybach is expected to be powered by the twin-turbo V-12 producing 523 hp and 612 pounds-feet of torque found in the current Mercedes-Benz S600. The sedan is also expected to be offered with a version of the the twin-turbo V-12 currently found in the S65 AMG that produces 621 hp and 738 pounds-feet of torque, though it is not clear at this time whether all versions of the upcoming sedan will receive 4Matic all-wheel drive. Mercedes' Magic Body Control system is expected to make an appearance in this version of the S class, perhaps alongside 4Matic systems that cannot currently be ordered together in the short- and long-wheelbase S class sedan because of space limitations. In terms of interior layout, the Mercedes-Maybach will closely mirror the former Maybach 62, complete with reclining rear seats and enhanced infotainment features for rear seat passengers. It is not clear at this time whether the Mercedes-Maybach will be offered with a partition and a powered window between the front and rear passengers compartments, something that was an option on the Maybach 62. The Mercedes-Maybach will also offer an increased range of interior materials and options, in addition to some new tech not currently offered in the S-class. Sometime later, Mercedes-Benz is also expected to offer an armored version of the Mercedes-Maybach, though like the standard sedan and Pullman variants, it will not be available in the U.S. 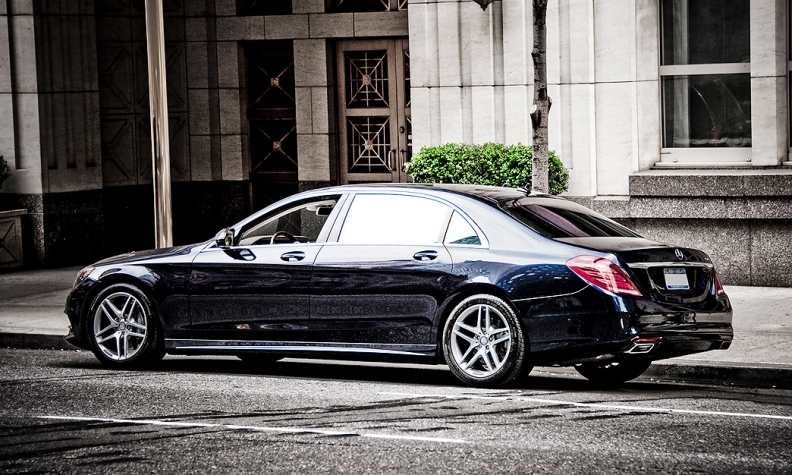 The armored version is expected to offer VR9-level ballistic protection, as in the S600 Guard. The Mercedes-Maybach will mark the return of the Maybach name to the lineup, which existed as a standalone brand from 2002 until 2010. The Maybach 57 and Maybach 62, which made use of the old W140 platform, were originally planned to be badged as Mercedes-Benz Maybachs until relatively late in the development process. Sales turned out to be a bit of a disappoinment for Mercedes-Benz over the eight-year production run. The upcoming Mercedes-Maybach will instead be an extra-long-wheelbase version of the S-class, akin to personal S-class cars built by Belgian coachbuilder Carat Duchatelet in the 1990s that also featured a re-engineered rear passenger section with redesigned rear doors and a luxurious interior. Details on pricing will be announced after the model's debut at the LA Auto Show, though the base version of the Mercedes-Maybach is expected to start at around $200,000 in the U.S., with the armored versions for other markets being $100,000 dearer. An even more exclusive version of the W222 S-class -- the Pullman limousine -- is expected to be unveiled (with relatively little fanfare) a few months later. Developed and built by Brabus, the Pullman limousine will feature an extra middle row of rear-facing conference-style seats in a 2+2+2 layout, and a half-million-dollar starting price for the unarmored version. Stuttgart has more Maybach versions of existing cars in the works, and the GL-class has been mentioned as another model which may see a Maybach variant in the near future. 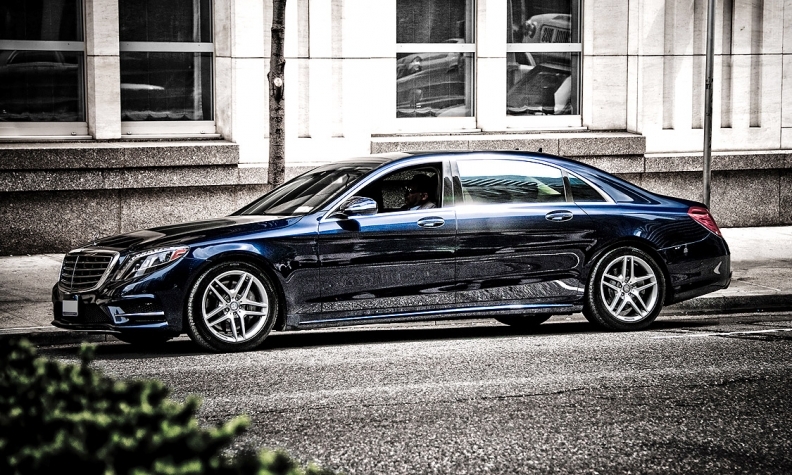 The Mercedes-Maybach S600 and S65 are expected to be available for ordering in the spring of 2015. The interior of the Mercedes-Maybach will closely mirror that of the former Maybach 62, complete with reclining rear seats and enhanced infotainment features for rear-seat passengers. It is not clear whether the Mercedes-Maybach will be offered with a partition and a powered window between the front and rear passenger compartments, a feature that was optional on the Maybach 62. The Mercedes-Maybach will also offer a wider range of interior materials and options, in addition to some new technology not offered in the S class. The Mercedes-Maybach will mark the return of the Maybach name to the luxury brand's lineup, which existed as a standalone brand from 2002 until 2010. The Maybach 57 and Maybach 62, which made use of the automaker's old W140 platform, were originally planned to be badged as Mercedes-Benz Maybachs until relatively late in the development process. Sales turned out to be a bit of a disappointment for Mercedes-Benz over the eight-year production run. The upcoming Mercedes-Maybach will instead be an extra-long-wheelbase version of the S class, akin to personal S-class cars built by Belgian coachbuilder Carat Duchatelet in the 1990s that also featured a re-engineered rear passenger section with redesigned rear doors and a luxurious interior. Details on pricing for the new model will be announced after the L.A. Auto Show debut. The base version of the Mercedes-Maybach is expected to start at around $200,000 in the U.S., with the armored versions for other markets being $100,000 dearer. An even more exclusive version of the W222 S-class -- the Pullman limousine -- is expected to be unveiled with relatively little fanfare a few months later. Developed and built by Brabus, the Pullman limousine will feature an extra middle row of rear-facing conference-style seats in a 2+2+2 layout, and a half-million-dollar starting price for the unarmored version. Mercedes has more Maybach versions of existing cars in the works, and the GL-class SUV has been mentioned as another model which may see a Maybach variant in the near future. 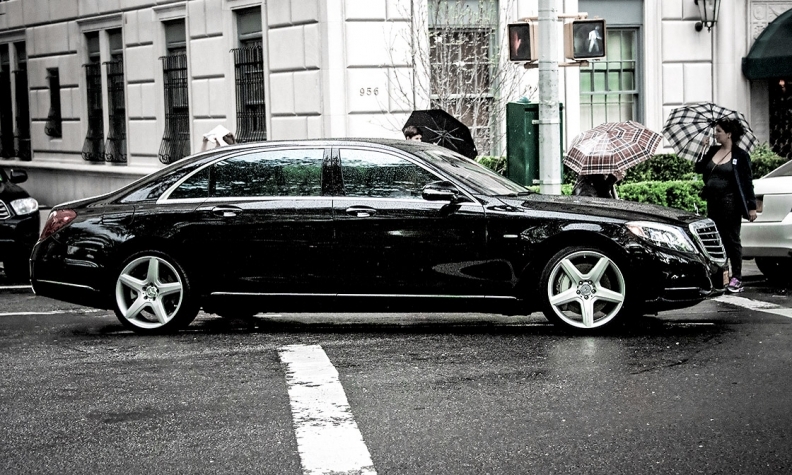 The Mercedes-Maybach S600 and S65 are expected to be available for ordering in spring 2015.